There has always been reams and reams of medical data for medical staff to deal with. British physicians were already in the habit of maintaining medical records before America was colonized, and the habit seems to have been passed on to our country’s hospitals ever since. Until computer technology came to the fore however, these records were maintained as individual written files in a painstaking manner. The widespread availability of computers and its data processing technologies then, was a game-changer, and it would be fair to say that the US healthcare industry has just witnessed another one of these game-changers of late. This new game-changer comes in the shape of Information Technology, or IT as it’s known as in common parlance. For those still slightly in the dark regarding what IT means exactly, Merriam-Webster defines Information Technology as “the technology involving the development, maintenance, and use of computer systems, software, and networks for the processing and distribution of data.” IT has affected the way we conduct our lives in many different ways, the one aspect of our lives that has been most affected though is finances. Banking and finance, as an industry has grown leaps and bounds thanks to the injection of IT technology, and the healthcare industry isn’t far behind either. 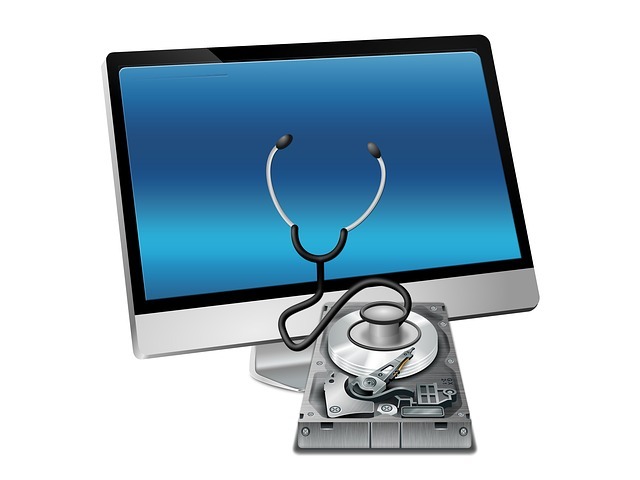 Electronic Health Records or EHR is a digitized version of a patient’s medical records. These records contain comprehensive information regarding past illnesses, diagnoses for said illnesses, medication information and a list of known allergies among other things. This information is placed on a centralized server and accessible only to the patient, medical and health professionals, and any other individual the patient personally choses to share this information with. This means individual records are safe and secure from unfriendly prying eyes, but within easy reach of both the individual and medical professionals who may need it to help treat said individual better. It isn’t just the maintenance of records, but other aspects of the medical field that have also been affected by the influx of IT. Take the formation of these records through the process of medical transcription. The creation of voice-to-text software and the use of internet based software to transfer the final records once transcribed rather than the traditional fax mean these records are converted from audio recordings created by medical staff into uniform, digitized records at a much more rapid pace than before. Medical coding and billing has been affected too. As Career Step summarizes, a new set of standardized codes called ICD-10 are incumbent by October 2015, and this code set will include a mammoth 155,000 codes as opposed to the previous set that held a paltry 17,000. These ICD or International Classification of Diseases codes are used by healthcare professionals across the nation to classify diseases and diagnosis. Even pharmacy techniciansare affected by the emergence of IT advancements in the medical industry. A collaborative effort between leading pharmaceuticals from all over the country has given birth to e-Health Information Technology (HIT), a movement to help seamlessly integrate EHR into the pharmacy fold. Lastly, and most importantly, IT solutions have impacted healthcare operations is in the treatment aspect itself. Now, if a medicine form of medicine is discovered, information regarding its chemical components can be shared immediately across the internet to pharmaceutical companies across the world. Similarly, if there is a new strain of virus or disease discovered in one part of the world (take the recent outbreak of Ebola as an example), then immediate steps can be taken to alert the rest of the world to the existence and potential danger of diseases. Continuing with the Ebola example, the government can also reach out, through IT and create awareness about such diseases so that they can be caught and cured efficiently as the Center for Disease Control did by releasing this infographic that clarifies the symptoms of Ebola and how it differs from the common flu.